CALGARY -- A hodge-podge of public transportation services are already starting to fill the gap as Greyhound Canada moves steadily towards its midnight Halloween disappearance from most of Western Canada. 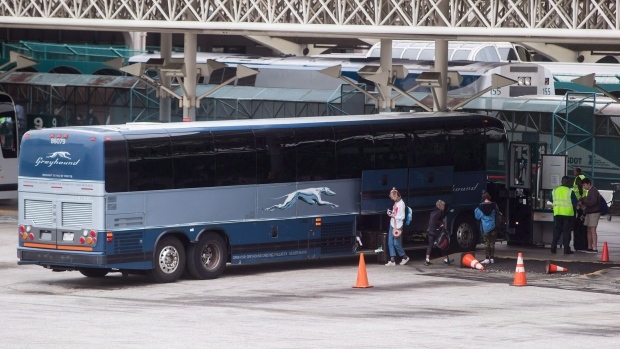 And passengers aren't waiting for the last Greyhound next Wednesday to check out new options -- according to Stuart Kendrick, senior vice-president of Greyhound Canada, ticket sales have already fallen off to the point that some route frequencies are being reduced. He said he thinks his company can provide the hub in a hub-and-spoke business model as Greyhound closes -- it's already in discussions with operators of small-scale shuttle bus and transit operators about establishing connections with his firm's routes. He added "disruptors" -- new travel options such as Poparide, an app that matches passengers with drivers who happen to be going to the same destinations -- are also expected to fill the gap.